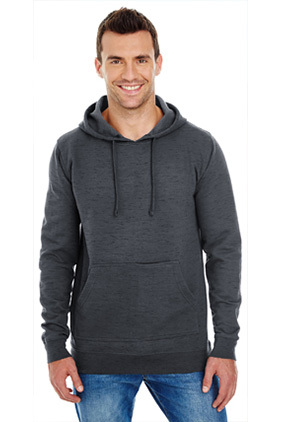 80% cotton/20% polyester 7.8 ounce injected slub yarn dyed fleece hoodie. Front pouch pocket with zippered phone pocket. Elastic rib cuffs and bottom band. Modern fit.